Hosts Scott Lewis and Laura Kohn talk about the state of computer science education in San Diego. Our education system isn’t churning out enough students with computer science training to meet the voracious demand for high-skilled tech workers. But schools in San Diego are trying to catch up. Locally, only 10 percent of San Diego County high schools offered computer science courses as recently as 2011. This year, closer to 40 percent of high schools here have computer science curriculum. 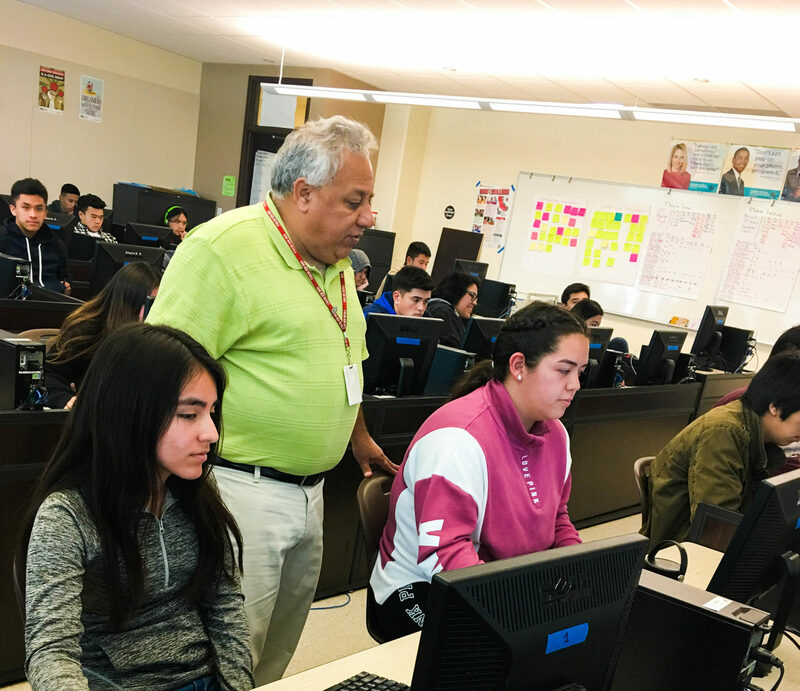 Behind that jump in numbers are educators like Art Lopez, a computer science teacher at Sweetwater High School and a curriculum specialist for the Sweetwater Union High School District. In the podcast, hosts Scott Lewis and Laura Kohn talk to Lopez about local and state efforts to get computer science education to more — and more diverse — students. Seven years ago, a student asked Lopez why La Jolla High had computer science courses and Sweetwater High didn’t. Meanwhile, the number of jobs requiring tech skills was exploding. “We wanted to change that landscape,” he said. He wasn’t alone in his effort. In 2015, the San Diego Supercomputer Center at UC San Diego was awarded a three-year, $1 million National Science Foundation grant to help Sweetwater and two other local school districts develop and sustain up-to-date computer science courses. Now, more than 1,000 Sweetwater students are enrolled in computer science courses. Lopez’s work, though, is far from done. He said he’s continuously working to get more girls interested in tech, and he’d eventually like to see computer science education offered to kids starting in kindergarten. Currently, he’s a member of the Computer Science Standards Advisory Committee, a group appointed by the State Board of Education that’s working to get all California schools on the same page when it comes to computer science mandates. TechHire: In collaboration with the city, the San Diego Workforce Partnership is leading TechHire San Diego, a program that pairs people who are underrepresented in the tech field with local tech jobs. Employers in the region can get a paid intern at no cost to them. 10 percent: That’s the percent of students in the world who have gone through Code.org’s “Hour of Code” program giving kids a taste of computer science education.